Shoot at your opponent's goal and watch the points tote up with exciting new criss-cross scoreboard technology. Each goal is equipped with infrared eyes for scoring accuracy. Arrows light up randomly. 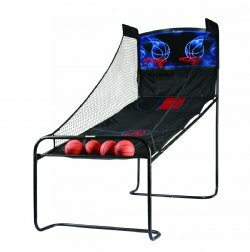 Enjoy the competition with a two-goal, arcade-style basketball game, designed especially for home use. The frame is sturdy and stable - 1.5" steel tubing - so you can challenge your friends and family again and again. 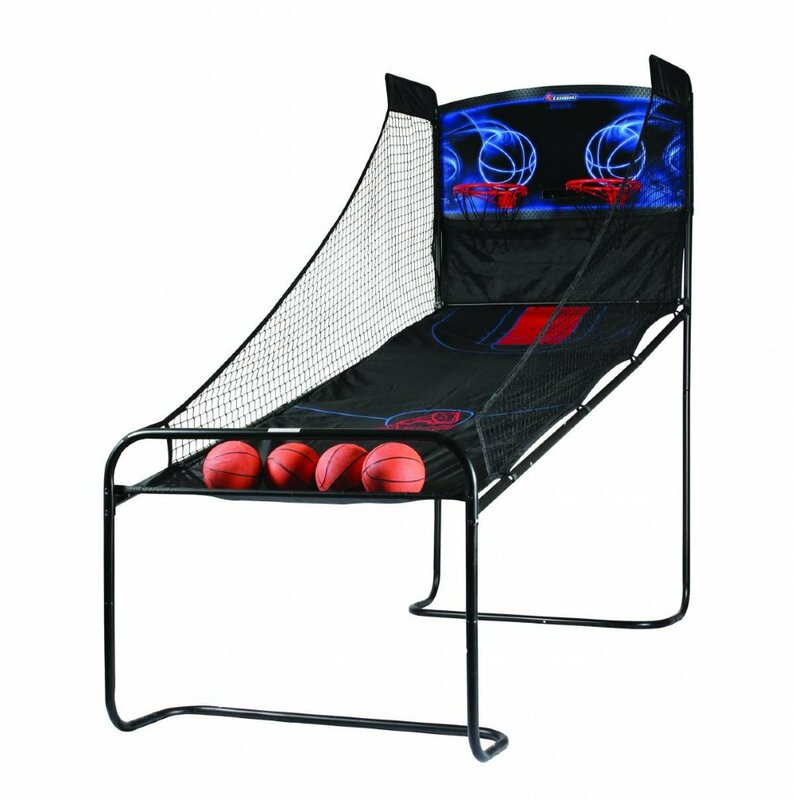 Includes 4 mini-basketballs and pump. The game folds easily to save space between games. Shipping charges within the 48 contiguous states via UPS Ground are included in the price below. Please read our shipping policy for full details.